This article is about passport design, but you will learn also interesting facts about passport history. The Federal Republic of Germany was founded on 23 May 1949. However, the less known fact is that the young Republic was still under occupation of the allied forces and became a truly sovereign country only on 5 May 1955. Passport applications in the first several months still had to be made at the offices of the allied forces. On 1 January 1950, the government office “Deutsche Amt für Ein-Ausreiseangelegenheiten” (German Office for Entry and Exit Affairs) became the main issuing authority but according to the occupation laws this office was still under the control of the High Commission for Germany. 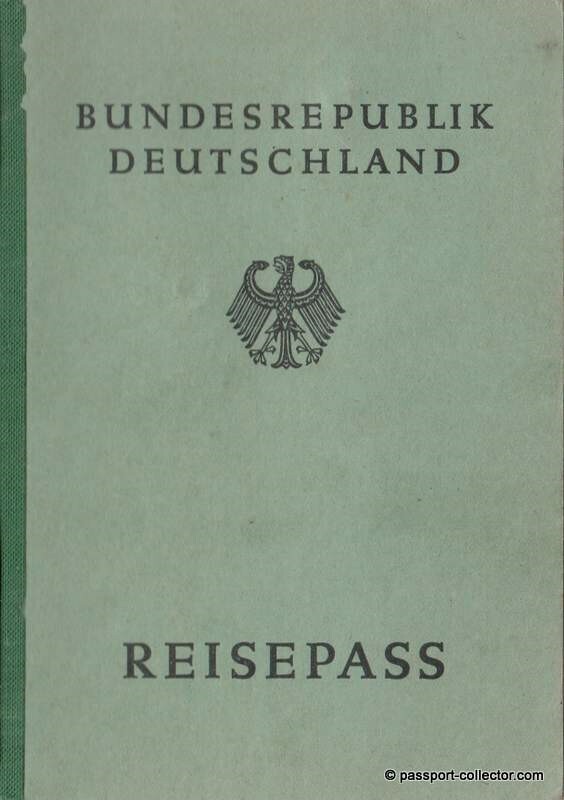 Federal Germany finally gained the full rights from the allied forces to issue passports by 1 February 1951 . Here you can see one of the very first Federal German passports, issued on 13 November 1950 at the German Consulate General in New York, USA. Although in reality this passport was issued almost three months before the Passport Act became valid. Supposedly, there was some agreement with the allied forces to cover Germans abroad in need of a travel document. Let’s take a closer look at the number code printed on the back cover of the passport, which states “1 10010 50000 5.50”. What does it mean? It is not known for certain what the first six digits “1 10010” mean, it may be a template number. “50000” is the number of the printed copies, while “5.50” signifies the printing date – May 1950. The number code on the back cover “5.50” means May 1950, the very first batch of documents. This article was a collaboration with Regula which is the leading entity providing solutions in questioned documents analysis, border control as well as conducting specialized training to law-enforcement about secure documents. Regula product portfolio includes devices for document verification, image processing software and information reference systems about identity documents and banknotes. Having more than 25 years of expertise Regula provides its solutions to more than 130 countries and cooperates with government institutions, international, regional and specialized organizations.